The American Association for Emergency Psychiatry (AAEP) is pleased to announce that Emergency Psychiatry will once again be published by AAEP. We invite all members and colleagues in the field of Emergency Psychiatry to submit a manuscript or book review for consideration of publication. Current issues are available as a member benefit. Please log in with your username and password to view current issues or click here to join. The American Association for Emergency Psychiatry (AAEP) is pleased to announce that Emergency Psychiatry is being published by the AAEP. We invite all members and colleagues in the field of Emergency Psychiatry to submit a manuscript or book review for publication. Emergency Psychiatry is intended to be a forum for the exchange of multidisciplinary ideas. Manuscripts are welcomed that deal with the interfaces of emergency psychiatry. 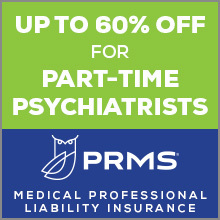 This includes psychiatric evaluation of individuals in the emergency room setting, education and training in the field and research into causes, and treatment of behavioral problems. Manuscripts are evaluated for style, clarity, consistency, and suitability. All articles represent the opinions of the authors and not those of the Association. Except where specifically stated, published articles are not official statements of the American Association for Emergency Psychiatry. Manuscripts are considered for publication with the understanding that their essential substance has not been published previously and has not been submitted simultaneously to other publications. Manuscript Form: Only electronic transmissions of manuscripts will be accepted. Manuscripts can be submitted directly to the Office at [email protected]. Submission of manuscripts that are longer than 15 manuscript pages, including references, is discouraged. Tables and Illustrations: Tables, charts, and photographs should be submitted on disk or by e-mail. Photographs should be submitted in JPEG format. Tables and charts should be executed in Excel or PowerPoint. References: List references in alphabetical order. Each listed reference should be cited in text, and each text citation should be listed in the References section. Include the address, telephone number, and email address for the corresponding author on all manuscripts.